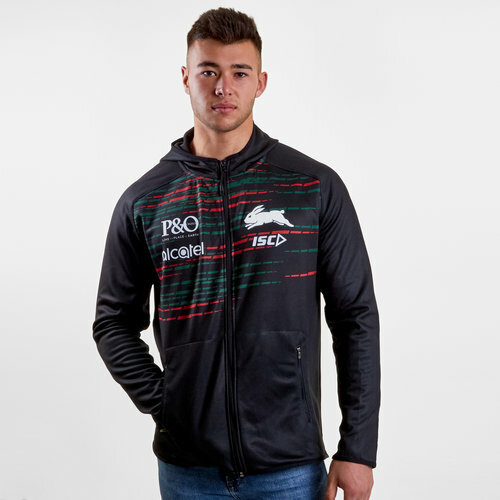 Show your pride for the Bunnies when you watch at the ANZ Stadium in these South Sydney Rabbitohs NRL 2019 Players Hooded Rugby Sweat from ISC. Sticking to tradition this hooded sweat uses both the red and green colours of the team's history. The hoodie is predominantly black with a red and green design. It comes with a hood for protection against the elements and two side zipped pockets for storing valuables. The ISC logo and team badge are embroidered on the left side of the chest.